A journalist’s eyewitness account of the explosive 1849 California gold rush and his travels through Mexico. In 1849, a young, wide-eyed reporter from New York ventured West not to seek riches, but to report on the madness and exuberance of the California gold rush. Sent by Horace Greeley, a highly respected New-York Tribune editor, twenty-four-year-old Bayard Taylor traveled through Panama to reach his final destination, San Francisco, which he described as an amphitheatre of fire” in the night, gleaming with the promise of gold and progress. In his enthralling and robust narrative, Bayard brings the reader into the wild, lush world of early California, reporting on the nearly overnight growth of townships and infrastructure after the gold rush. During his adventures, Bayard walked one hundred miles from San Francisco to Monterey, and later returned to New York via Mexico by foot, mule, and coach. Bayard describes the characters he met with an honest curiosityheady gold miners who had once been doctors and lawyers, hospitable Mexicans from all classes of society, and even a highway robber who made off with his books. Eldorado, which borrows its title from the South AmericanSpanish legend of a hidden land of gold, is a magnificent tale about the birth of California from a deserted land to a modern city sprawl. 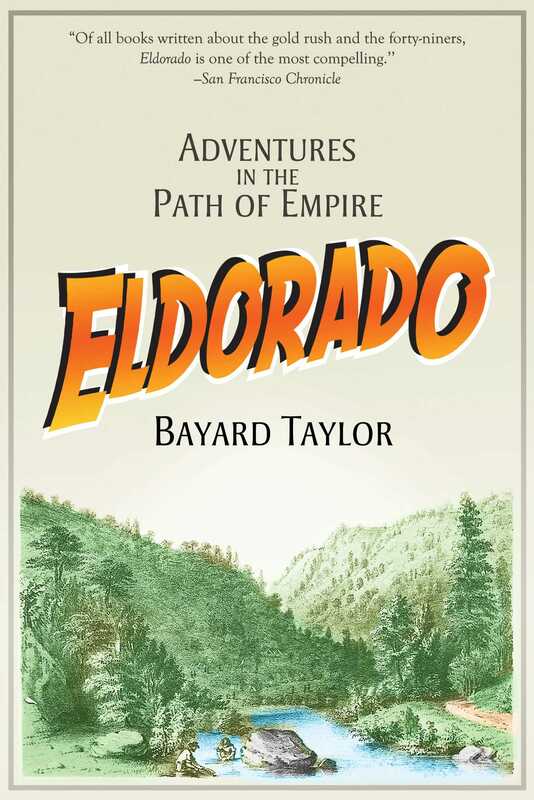 At once an account of history and of one man’s thrilling adventures, Eldorado transports the reader to the beginning of an era, with all its gold, glitz, and glamour.